No doubt, many of you would agree that a successful strategy for creating wealth is to cut your losses short and let your profits run. However, many people still invest in assets that lose money rather than financial assets that generate growth and income. But there are three laws to wealth creation that will enable you to stop losing and start marking money. Interestingly, many people are willing to spend years studying to gain a formal education with the expectation that they will obtain a job that will pay enough to enable them to sustain a desired lifestyle. Yet when it comes to educating themselves about how to create wealth, they never quite find the time. Instead, the majority seem willing to live from pay cheque to pay cheque – which means they have to work harder and longer to create the extra income that will satisfy their needs. The desire for individuals to have whatever they want now and pay for it later means that many forego the required planning process to ensure they have sufficient wealth in retirement. But this needn't be the case, as it is never too late to get your investments in order. Based on my experience, I feel that many people do not give enough time or thought to the "laws of wealth creation". They take it for granted that because they already understand them, they do not need to give them the attention they deserve. 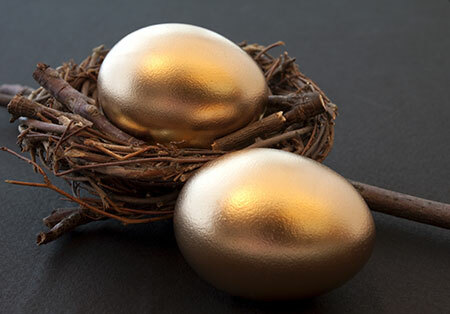 But let me ask you – how many of you are truly building a nest egg to ensure you are financially secure in your retirement years? Leave it alone so it can grow. Ask yourself, which rules do you follow on a consistent basis? Unfortunately, the majority of people do not follow the first rule of spending less than they earn and, are therefore, unable to move on. For those who do follow the first rule and move onto invest their surplus cash, many also fail to do their homework beforehand. As a result of their lack of knowledge in this area, they either do not invest wisely or are unable to leave their investments alone long enough to compound over time. So, here’s a breakdown of the three laws to get you on track. Usually it is not until the end of the financial year when people realize just how much they have earned. But when spending habits are quantified, only then we do we know how much we can save. Indeed, budgeting is like a roadmap to achieving financial independence, as it provides you with a plan of attack that allows you to create your preferred reality. It is this rule that is a crucial starting point for an investor. The second rule is to invest your money wisely. All too often people do what is simple or easy rather than what is wise when it comes to investing. However, a wise investment must give you capital growth and it must give you income. If an investment does not have both of these components then someone else is benefiting from the component that you are not getting. Indeed, investments that do not have both components are considered average investments in which you have to accept average returns. The best method for investing that delivers both income and capital growth is to directly invest in shares and property. Investing wisely in these types of assets is higher risk but the reward is worthwhile if you are willing to attain the required knowledge and skill to lower your risk and minimize your losses. Given that you work hard to get your pay cheque at the end of the week, why wouldn’t you invest the time and money learning how to trade stocks to ensure your investments are profitable? If I work one hour to earn $50 and I put that money on a share hoping to win and I lose, that $50 can never be replaced - it is impossible for me to work that hour again. So why would I put my hard earned capital at stake unless I had a high probability of success? you should have a rationale for investing in a particular asset. Let’s examine these in more detail. 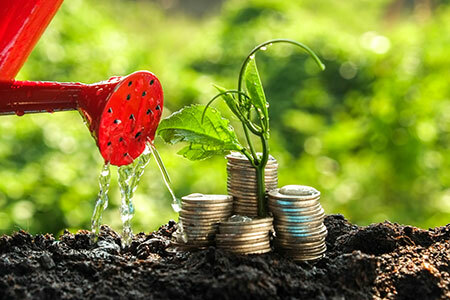 Once you invest, it is also important to consider how you will manage your investment risk. 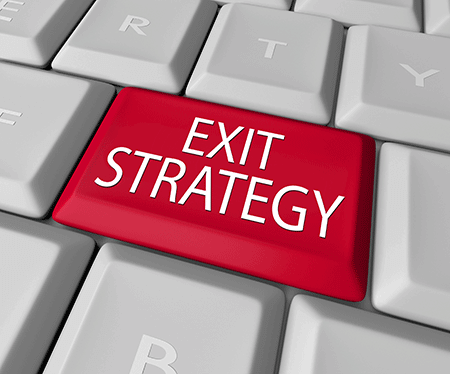 In other words, you need to consider your exit strategy before you invest. Most investors do not consider this because when they invest they expect the asset to rise. Even though there is a likelihood the asset will rise, the value of the asset is not realized until you sell. Consequently, this is considered unrealized profits as the asset could fall in value. Therefore, it is important to consider how and when you will exit if your investment turns sour or does not perform as expected. Unfortunately, many investors mistakenly believe that if they have not sold a share that is falling in value then they are not losing. But let me demonstrate why the opposite is true. If I buy a blue chip share that is rising, I know with high probability that the stock will generally rise a minimum of 20 percent in price over the next 12 months. Let’s assume I invest in five stocks throughout the year. Four of the stocks rise in value (all by 20 percent) and only one makes a loss (also by 20 percent). Now let’s convert this into dollar terms. If I invested $1,000 in every stock then I would have made $200 on each of the four shares that went up and lost $200 on the share that went down. Therefore, I would make $800 and lose $200, which would give me a net profit of $600 or a 12 percent return on my capital of $5,000. Now let’s assume I decide to hold onto the stock that is falling in value because I believe there is a chance it will turn around and start to rise. However, by the time it has decreased by 50 percent I realize that this is not going to happen. So what is the effect of this on my portfolio? On the falling share, I lost 50 percent or $500, meaning the unrealized net profit changes to only $300 ($800- $500 =$300) or 6 percent profit on my $5,000 capital. By allowing the falling share to fall below 20 percent halved the return on my portfolio. The point is the longer a stock continues to fall, the greater the effect on your overall profitability. In essence, allowing your losses to run into bigger losses turns a good investment strategy into an average one. If you do not understand the consequences of your investment strategy, you are taking higher risks and there is more probability that you could lose. For example, many investors got caught up in the hype of the tech boom in the late 1990’s, investing large sums of money in the hope of making a fortune. Media hype and speculation fueled the misconception in the market place that "blue chip" shares were out dated and that technology stocks or "dot com" stocks were the growth stocks of the future. This misleading information permeated the market, causing mass greed that resulted in share prices skyrocketing to many times their true value. Many investors even forgot to consider the basic economic fundamentals of successful companies, ignoring that many of the "dot com" companies were yet to make a profit. As a consequence, a lot of investors lost money and time in creating a wise investment portfolio. And there is no doubt that this will happen again. Just look at the bubble being created by the hype and mania surrounding cryptocurrency, which is a form of digital currency that appears out of thin air and then sky rockets in value to many times its worth. Unless you understand the consequences of your investment decisions, it is better to invest your money in an average investment, like a bank term deposit. While your return may be lower, you are eliminating the risk associated with these higher risk investments. The third rule is to leave your investments alone to grow. Einstein referred to this as the power of compounding or the eighth wonder of the world. When you invest wisely, your money will earn interest, dividends and capital gains. When you reinvest these earnings, it yields additional income because of the compounding effect. Consequently, it is this rule that is the real key to wealth creation. Therefore, once you embark on your investment journey you should leave your capital alone to allow it to grow. Only when your investments are generating income and growth that is equal to or better than what you earn from working should you consider using your investments or income for lifestyle purposes. Sadly, however, many investors prefer short term gratification and dip into their investments to buy a car or go on a holiday or do something unrelated to building wealth. If you do this, you need to be aware that this will potentially put you years behind achieving your goals. This is because compounding produces only modest gains over the first few years - the real effect of compounding is only seen when your money is left for longer periods as it begins to grow much faster. Regrettably, the lack of knowledge about wealth creation has the effect of intensifying the emotions of fear and greed, causing investors to react and, at times, over react to market conditions, which is what prevents many from becoming financially independent. 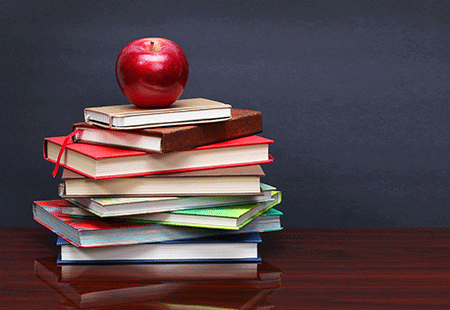 As a share trading educator and portfolio manager, I have learned that you can attract and retain more clients by adopting a proactive approach towards educating clients. You can also develop stronger relationships and create like-minded synergies with the client. Many professionals mistakenly believe that if they impart any knowledge to their clients, the client will want to control their own investments rather than utilize their services. However, I have found that the more I educate my clients, the more they trust what I do and the more they benefit from my services. So there you have, I encourage you to take heed of these three laws, as they will have a profound effect on your life. My latest book Accelerate Your Wealth, It's Your Money, Your Choice is also packed with some simple but powerful investment strategies that will enable you to fast track your goals in the stock market. You may also want to check out how our clients are achieving their financial goals by viewing their reviews, success stories and testimonials.